Samsung’s alleged Galaxy S4 may be months away from its release date, but that hasn’t stopped the rumors from flowing. We’ve seen a slew of purported leaks and speculation during the past several months, and now the latest tidbit hints at the handset’s carrier availability. The Korea-based manufacturer has launched its most current Galaxy devices on all major U.S. carriers, and it looks like that pattern may continue with the S4. Recently discovered results from the NenaMark 2 benchmarking website suggest a Verizon variant of the much-anticipated Galaxy S3 successor. Japanese blog “rbmen” was the first to report these findings, although it’s important to remember that this hasn’t been confirmed by Samsung. The benchmark results showed a Samsung Galaxy device with the model number SCH-I545. While these findings didn’t explicitly reference Verizon, this number aligns with previous Samsung product launches on the carrier’s network. For example, the Galaxy S3’s model number for the Verizon version is SCH-I535, lining up closely with the newly discovered device on NenaMark 2. Additionally, some could argue that the “3” in SCH-I535 stands for Galaxy S3 and the “4” in SCH-I545 stands for its successor. These findings also served to intensify previous rumors about the Galaxy S4’s tech specs. NenaMark 2’s filing indicated that the handset will come with a 1920 x 1080 display, a 1.9GHz processor, a Qualcomm Adreno 320 graphics card and Android 4.2 Jelly Bean right out of the box. The benchmark results didn’t mention a specific size for the display, but other rumors have indicated that it will measure in at 4.99 inches. Speculation about the handset’s hardware began to heat up back in November when Korean news source Digital Daily published a report about a new processor Samsung is allegedly working on. This chip, believed to be internally nicknamed “Adonis,” is reportedly quad-core and based on the Cortex-A15 processor. At the end of January, Samsung news blog Sam Mobile spilled even more details about what fans may find in the Galaxy S4. The website reported that the device will come with 2GB of RAM, a 13-megapixel rear facing camera, a 2600 mAh battery and wireless charging capabilities. While Samsung has yet to officially announce its next-generation Galaxy S device, some are already predicting its sales numbers. A new report has said that Samsung will sell more than 100 million units of its Galaxy S4, possibly surpassing sales of the entire Galaxy S series so far. This could mean that Samsung may pull component and manufacturing resources away from its biggest competitor: Apple. “The enormous 100 million S4 build plan (we estimate the S3 sold 60M) is leading some suppliers to say that they will reallocate resources away from Apple,” Jefferies & Company analyst Peter Misek said in a note to clients, BGR reports. An earlier note from Misek also suggests that Apple could already be facing supply chain issues. The analyst wrote that difficulty in producing larger screens for Apple’s rumored 4.8-inch smartphone could push its release date back to June 2014. Samsung is rumored to unveil the Galaxy S4 at a press event on March 15, but this has yet to be confirmed. Rumors have also indicated that it will follow a similar launch cycle as the Galaxy S3, hitting the US around May or June. Samsung Galaxy S4: The Big DayNo Longer a Rumor: Samsung Galaxy S4 Set For March 14th ReleaseSamsung Galaxy S4: Release Date Pushed Back? 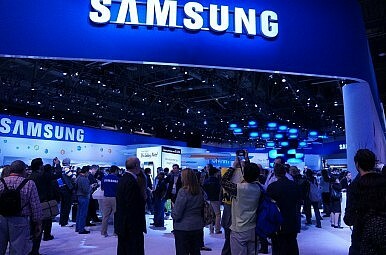 Samsung Galaxy S4 Rumor: New Feature Looming?Samsung Galaxy S4 Rumor: Gesture-Based Technology Included?